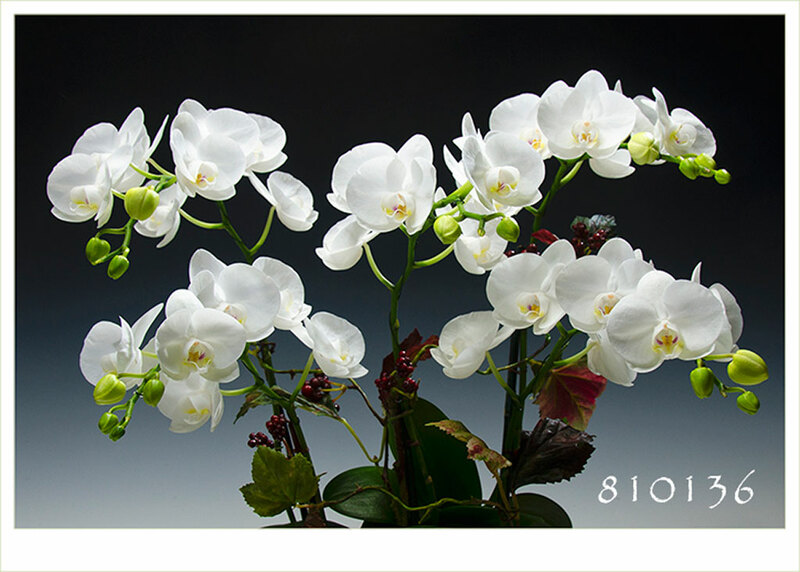 Nothing short of spectacular, this arrangement combines four of our most premium white Phal. amabilis in a stunning designer cachepot, reminiscent of a shower of fluffy white snowballs ! Our designers will hand-select 3-4 of our most floriferous plants, arrange them for maximum impact and entwine their flower spikes with faux vines and berries. 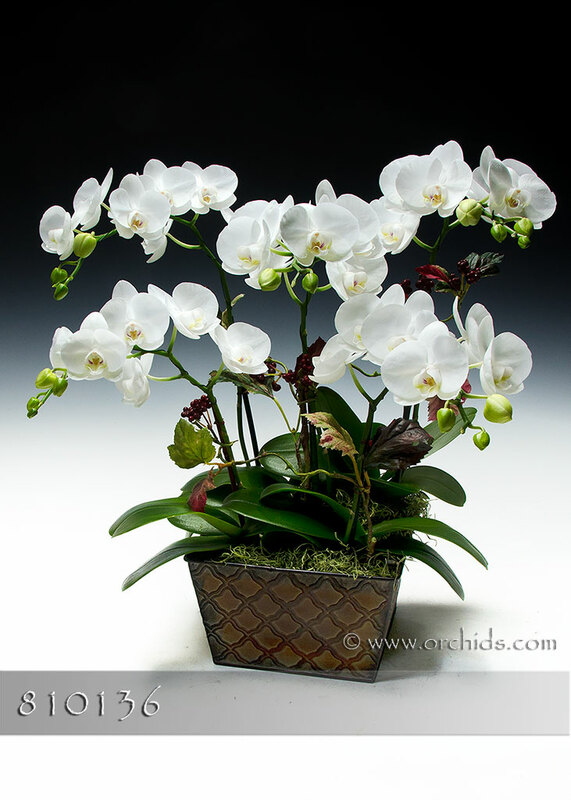 Standing 24-28" in height and exploding with the abundance of a minimum of five flower spikes, this premium arrangement will be perfectly finished with a soft bed of jade green Spanish moss.